It might be tempting to run out and do everything you possibly can and use up the most of your time away, but if you keep at it too long then you’ll just end up using all your energy. A decent amount of sleep each night will enable you to properly recharge all of your batteries. It will make you feel and look refreshed, and you will also be able to see and do more the next day. Sleeping is also important when you’re on the train or the plane – even if you only get a little bit of shut eye, it will make all the difference when you get to your destination. Great luggage is an easy way to stand out from the crowd when you are travelling. Make sure you do choose luggage that is a good fit for you. I like to get matching pieces in a vibrant colour - they look so chic and you can spot your luggage easily when they're on the luggage carousel. If you’re having trouble deciding what you should get, specialist retailers like Luggage Direct can help you find a piece of luggage that is best suited to you – just head over to Luggagedirect.com.au to browse their range. The last thing you want when you’re travelling is dry, pale skin, especially if you are going to be in an aeroplane or a vehicle for an extended period of time. 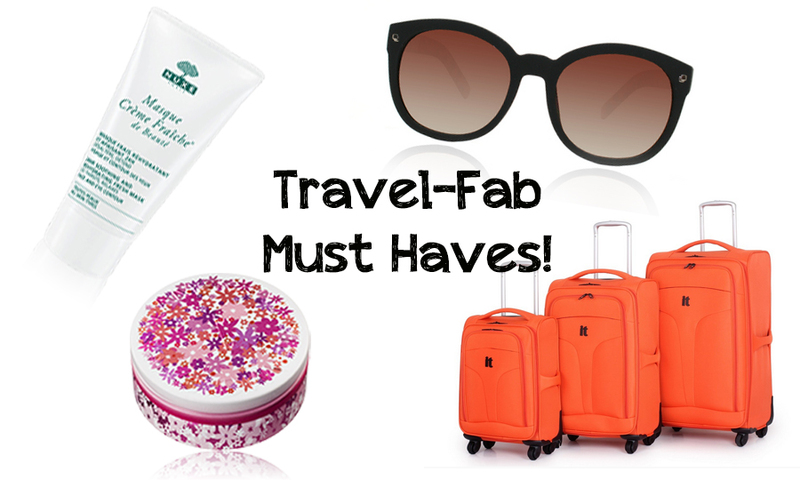 A great moisturising mask that you can apply on the plane is best, like the Nuxe Creme Fraiche Masque. Hand cream is also another great item to have in your bag, as it will provide a nice scent while also making sure your hands don’t get chapped. I prefer a multi-purpose cream like the Steamcream balms (I got the tin 'Precious' - you can get them at Luxola), because you can use them on anything, and it eliminates the need for extra products in your bag.
. There are plenty of other tips and tricks out there that you can use, but these are just some ways to look good while you are travelling, and they don’t take much effort at all. Also remember that though it does feel nice to look good, staying safe should always be your first priority. I'm sure there are plenty of seasoned travellers out there – what are your tips to looking and feeling good while you are travelling? Have you found anything that works particularly well for you? Feel free to share your experiences by leaving a comment below.